The Liquor Control Board of Ontario is ramping up security measures at some of its locations across the province amid reports of an increase in brazen thefts at liquor stores. 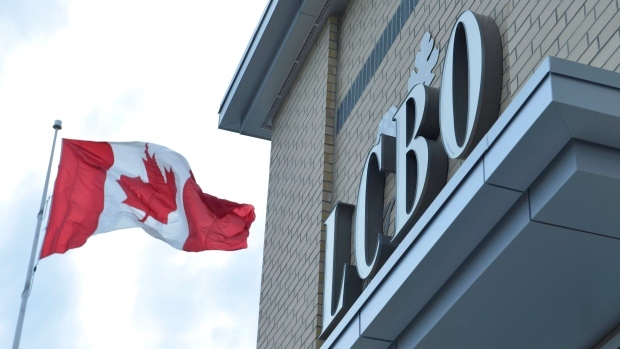 The LCBO statement said the Crown corporation will implement "industry-leading" technology at some of its stores to prevent thefts, although it has not provided further details on what that technology is. 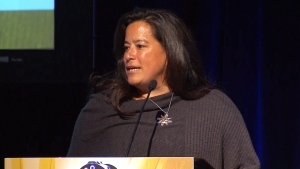 The LCBO statement said it will also be training employees on how to take "safe actions" during thefts and how to be a credible witness to the crimes. Toronto police spokesman Const. 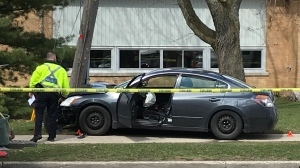 David Hopkinson said in a statement that officers have been responding to a rising number of theft calls at liquor stores "over the past few years," and that the incidents are becoming increasingly aggressive. "Many of those suspects were increasingly aggressive, working in groups, and intimidating staff. They often filled large bags with alcohol, stealing hundreds of dollars of product," said Hopkinson. Hopkinson said liquor theft calls are deemed "priority 2," which require two officers to attend in a police car. He said liquor is usually stolen quickly and suspects are often gone by the time officers arrive at the scene. "At a time when there is increased pressure to our resources, this is inefficient," said Hopkinson. He said that, in the service's effort to "modernize" reporting procedures, these calls will be directed to an online reporting process, along with gas and other retail thefts. He said while an investigation will still continue, online reporting will allow front-line officers to respond to "more emergent incidents." Hopkinson also said the police force is working with some downtown LCBO stores to prevent large-scale thefts. He said investigators believe some of the liquor thefts support other "street-level criminal activity," such as booze being sold in exchange for drugs.